Greetings from CA world in Las Vegas! In this post, I want to ensure that some things, which don’t need to stay here, don’t! 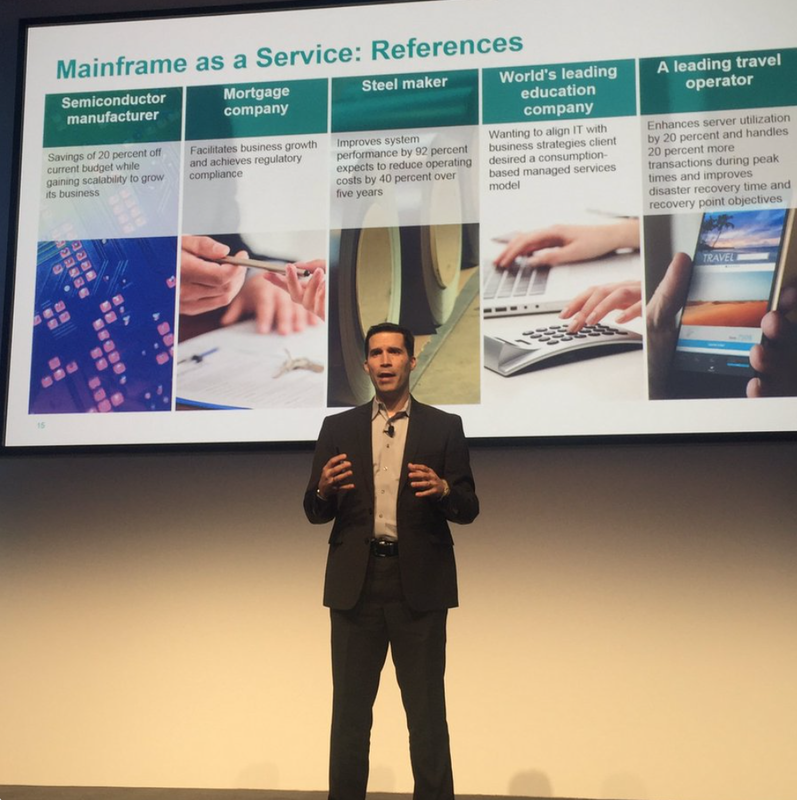 I had the pleasure of watching Barry Becker (Vice President, GTS Systems Services Center of Competency at IBM) and Ashok Reddy (General Manager of the CA mainframe Business) announce a new teaming approach. They announced joint support for a series of initiatives starting in North America, focused around IBM’s “Cloud Managed Services on z Systems” (I am going to call it the “zCloud”, IBM’s strategic cloud service for the mainframe). Ashok and Barry first talked about the move to cloud and hybrid cloud with a series of points very similar to my post “the outlook is cloudy” on Oct 7th. They then looked at some client challenges as the mainframe becomes a more intrinsic part of hybrid clouds. Two examples of areas of collaboration were in delivering mainframe services faster, and also ensuring that the mainframe is secure and compliant before the move, and even more so after the move to the cloud. I was particularly pleased to see the announcement of the CA and IBM collaboration in security and compliance. In my discussions with clients, I find that some haven’t invested much in the security or compliance aspects for information on the mainframe. They have trusted to existing mainframe capabilities. Ashok and Barry talked about first checking the existing level of compliance, before the move to the cloud. Scanning the mainframe, finding, classifying and protecting personally identifiable information, and making sure that as the client moves to that cloud that that the compliance posture is better in the cloud. No “rolling the dice” here! As I mentioned above, this was one key example. Ashok and Barry described a broad partnership with IBM marketing complementary parts of the CA software portfolio, all of which were to help as clients move to the cloud. Reduce overall cost, driving faster service delivery, improve security and compliance. Tonight I get to discuss the announcements in a reception with about 30 clients. Looking forward to it.